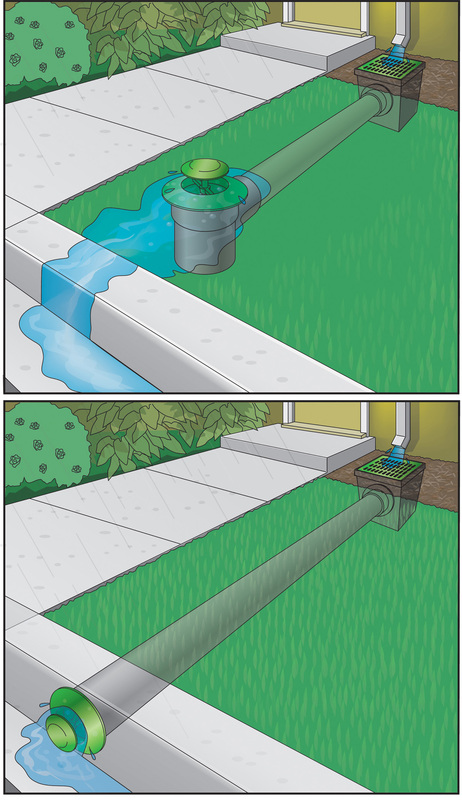 Have a drainage problem? Sunshine Landscapes has the solution! We specialize in basement remediation for your wet basement, and modern, efficient drainage solutions. Besides make your drainage work more efficiently, we also specialize in beautifying drainage areas. 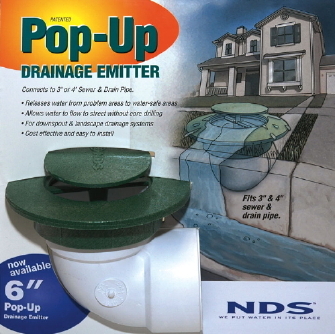 See below how the patented Pop-Up Drainage Emitter allows water to drain away from your house (the images can be clicked to be enlarged; use the "back" button on your browser to return to this page). We can install this cost-effective device and alleviate all of your wet or leaking basement problems! We also offer creative drainage solutions such as open stone drains and French drains. Stop water problems before they do damage! Call Sunshine Landscapes today.